So wrote John Lennon in “The Ballad of John and Yoko”, released by the Beatles back in 1969. 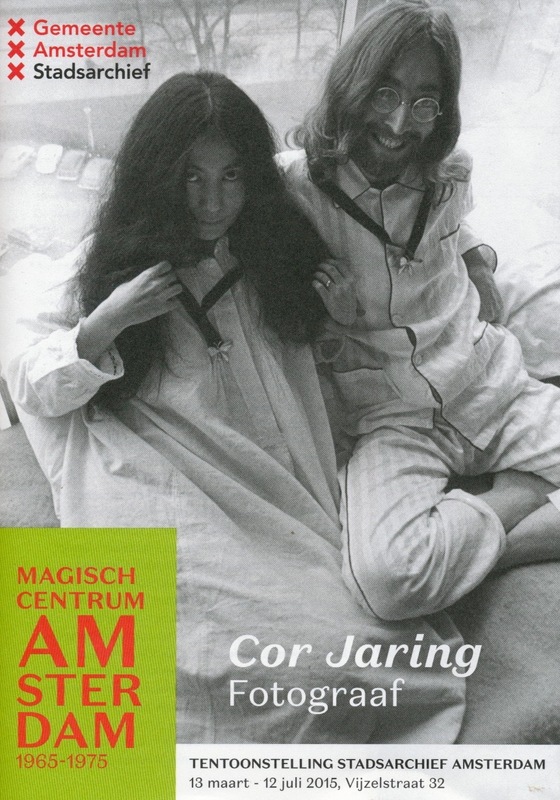 He was talking in the song about one of his famous “bed-in” peace events, staged with Yoko Ono during their honeymoon while on a visit to the city of Amsterdam. One of the people there to visually record what happened was Dutch photographer Cor Jaring and the Amsterdam City Archives currently has an exhibition of his photographs on display. They feature some of the shots he took of John and Yoko that day – but you’ll need to be quick if you want to see it. It closes on July 12. Hi, and welcome back to Beatles Blogger. We’ve been on holiday for a month – so it’s been a bit quite around here for a while. We’ve actually been traveling in Europe and now that we’re back over the coming days will reveal more about what we found there to add to the ever-growing Beatle collection. We managed to pick up a few very nice things…. If you happen to be anywhere near Amsterdam it looks like it’d be interesting though. This entry was posted in Apple, Beatles, John Lennon, Yoko Ono and tagged Amsterdam Hilton, Apple Records, Beatles, Cor Jaring, John Lennon, photographs, The Ballad of John and Yoko, Yoko Ono by beatlesblogger. Bookmark the permalink.